As children of YHVH, are we servants or kings? Actually, we are both. We are servants of YHVH (Acts 16:17; 1 Cor. 4:1). Before we were born again, we were servants to the enemy (2 Cor. 11:13-15). Sometimes we still are, when we stray from YHVH’s way (Rom 6:16). YHVH cares for us and serves us, even though He is our Father and King. Therefore, because we are His servants, we serve others, as He guides us (1 John 5:3). As children of YHVH, we are also kings (Rev 3:21, 5:10). We have been given authority over our environment (Gen 1:26; Ps 8:6). Our homes, possessions and the atmosphere around us are subject to our authority. Our authority comes from Yeshua, Who has been given all authority in heaven and on earth. Sometimes, we forget that our authority does not originate with us. Do we use our authority solely for our own pleasure or do we use our authority to advance the kingdom of YHVH? Yeshua provides the perfect example for us. He is the King of kings and Lord of lords, yet He came to earth the first time as a servant. He did not forget His identity as King, but He also did not let that identity sidetrack Him from His mission, even when He was tempted by the enemy. While He was on earth, He followed only the will of His Father, not His own will (John 6;38). He served others, even when it wasn’t convenient (Matt. 14:13-14). He made it clear that He was a king and explained how His kingdom operates (Matt 5-7). Why didn’t Yeshua assume the throne here on earth the first time? Right now, there is another king on the throne over this earth who has many followers and servants (John 18:36). Yeshua was not given all authority in heaven and on earth until He completed His first earthly mission (Matt 28:18). As His followers and subjects, we will not come fully into our glory until we have completed our earthly missions. For now we are mostly servants, but there must be a balance, just as there was with Yeshua. He came to serve others, but He remained aware of His kingly identity. He understood and used His authority, yet remained always subject to His Father’s commands. It is the same for us. Some believers are excellent servants, but have lost or confused their identity as children of YHVH. We seem unaware of our value and worth and we often assume false modesty. Sometimes we use our false modesty as an excuse to avoid taking on accountability or responsibility. We cannot do the great work that YHVH assigns us because we mistakenly believe we are too unworthy or inadequate. On our own, this may be true, but we are not on our own. We operate under and with the authority of Yeshua. 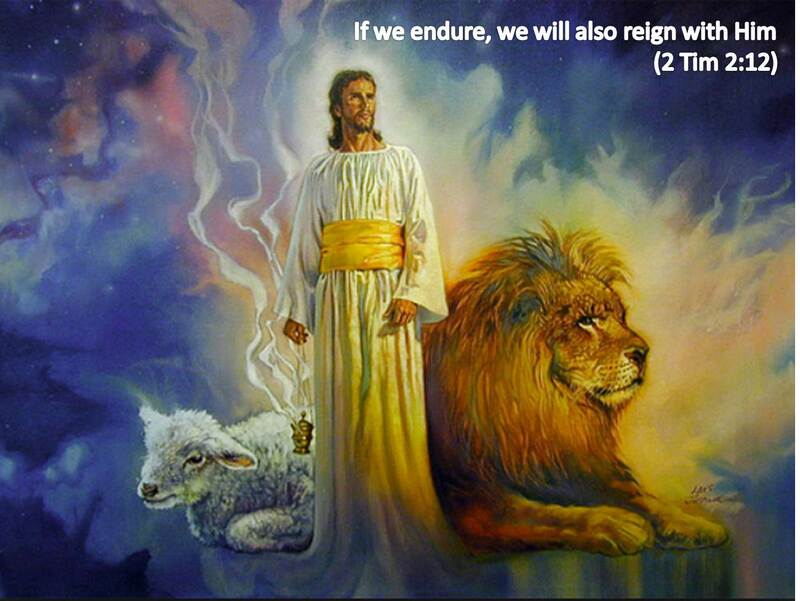 With Yeshua’s authority, we are quite powerful and can be very effective in YHVH’s kingdom. On the other hand, some of us live like kings, but with self-serving demands. We live for ourselves and our own pleasure, paying mere lip service at best to our Father’s directions and commands. We are not interested in participating in His harvest or kingdom work. If we do lower ourselves to servant mode, it is to serve those whom we approve or accept. Yeshua served many disagreeable characters while He was on the earth. If Yeshua reached out to sinful, undesirable people, then we who are also sinful have no valid reason to turn up our noses. Our righteousness, dignity and worth come from Yeshua’s redemptive work on our behalf. We must forsake self interest. If we are well-balanced servants, willing to work effectively in building His kingdom, then we will be prepared to reign with King Yeshua when He returns in glory. Previous PostWill You Inherit YHVH God’s Kingdom?Next PostWill the True Messiah Please Stand Up?